I remember reading Journey's End when I was a schoolboy in the '70s. Back then, there were still plenty of retired First World War officers like Stanhope and the ill-fated Raleigh. Some years later, my interest kindled, I was fortunate enough to meet and interview a number of them. To take that a step further and dig into original records was difficult though. The Ministry of Defence still held the original papers - those that survived, anyway - and there were restrictions on who could apply and what could be shared. How different it all is today. Journey's End, published in 1928, is set on the Western Front in 1918 during the build-up to the anticipated German offensive of 21 March; the so-called Kaiser's Battle. It's fitting, then, that a new film of Journey's End should be released now, close to 100 years after those momentous events took place. Have a look at the trailer below for a sneak peek at this latest big screen version. The play's author, R.C. (Robert Cedric) Sherriff, has plenty of records on Findmypast. You'll find his birth and death records, census returns, links to his First World War medal index card and service record, his entry on the 1939 Register (recorded as an author, unmarried and living in Sussex), and a number of entries in passenger lists as he travelled to North America, his occupation recorded as "playwright". Sherriff served as an officer in the 9th Battalion of the East Surrey Regiment during the First World War and Journey's End is based on his experiences on the Western Front. Speaking to me, 65 years after the events portrayed in the film, a former lieutenant who had also commanded men in a New Army infantry battalion told me, 'I liked it, I liked the open air life. Mind you, it was different when you were in a battle wondering what minute you were going to be blown to bits. Journey's End ends on 22 March 1918. Raleigh has died of wounds and been entombed as his dug-out collapses on him; Stanhope is last seen disappearing into the battle as German storm troopers advance through British lines surveying the dead. Commonwealth War Graves Commission records on Findmypast show that over 292,000 British & Empire troops lost their lives in 1918 with close to 8,000 men losing their lives on the 21 March. More deaths would follow in the ensuing struggle and there are plenty of records in Findmypast's British Army Service Records collection that detail the human cost; men killed, missing, wounded or taken prisoner. 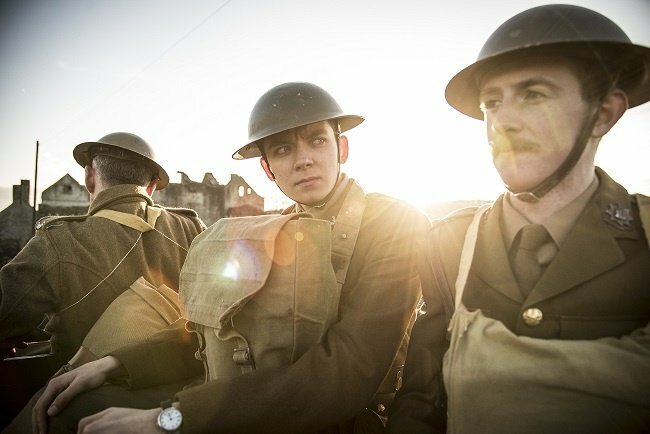 If watchingJourney's End piques your interest, be sure to explore our military records for unique insight into this fascinating, yet gruesome, period of history, along with the chance to discover more about the roles your ancestors played in it.